Governor Michael Parson (R) highlighted what he called several “long-term investments” in Missouri’s transportation infrastructure during his first “State of the State Address” on Jan. 16. 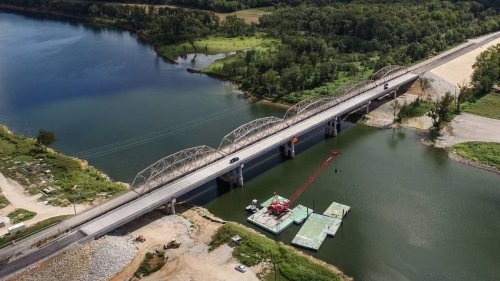 The biggest piece of that infrastructure plan is $351 million set aside in the state’s fiscal year 2020 budget for the Missouri Department of Transportation to “begin immediate work” on nearly 250 bridges in need of “critical repair or replacement.” A further $50 million will fund a “transportation cost share program” to assist cities and counties with addressing the “most serious infrastructure needs in our local areas,” Gov. Parson said in his speech. The Governor’s 12-page budget outline for the Missouri DOT also allocates $5 million in state road monies for federal grants, a state freight/rail plan, and operating expenditures. Parson, who became governor in June last year following the resignation former Gov. Eric Greitens, focused primarily on workforce development and infrastructure spending in his speech before the state legislature. “I stand before you today to share a vision — a vision that will chart Missouri’s future into the next decade,” Parson told lawmakers.